Gemischte Handelswoche in der Rohstoff- und Minenbranche: Ölaktien als klare Gewinner, Edelmetall-Minen auf der Verliererseite. Energieaktien profitieren von der erneuten Erholungsrally beim Ölpreis. 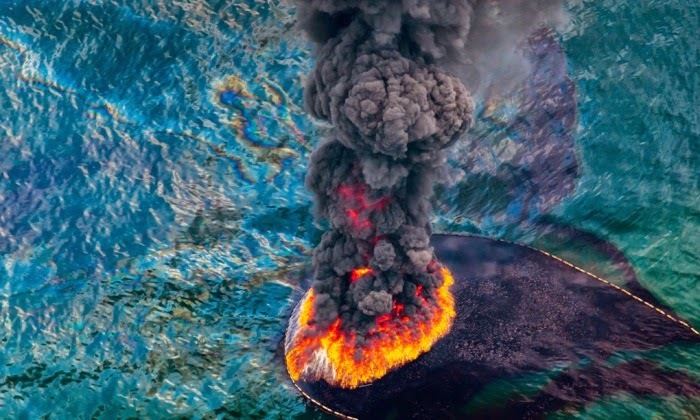 Zudem erhalten die Aktien der Öl- und Gas-Majors (DJUSEN, XLE) positive Unterstützung vom Gesamtmarkt in der Vorwoche. Nach ordentlichen Gewinnen zur Mitte der Handelswoche knicken Kupferaktien (COPX) zum Wochenende wieder ein und schließen die Woche nahezu unverändert ab. Ein ähnliches Bild bei den Standard-Minenaktien (TXGM), welche vom anhaltenden Preisverfall bei Eisenerz belastet werden. Verhaltende Handelswoche im Edelmetallsektor. 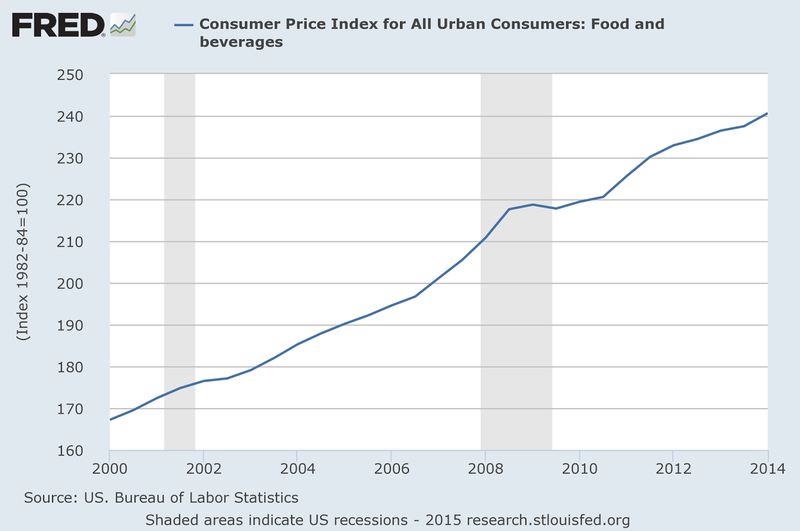 Der Goldpreis (GLD) kämpft sich zum Ende der Woche zurück und schließt die Woche rund 1% im Minus ab. Die großen und kleinen Goldminen (GDX, GDXJ) können ebenfalls ein Großteil der Verluste wettmachen. Silber (SLV) schließt die Woche sehr schwach mit mehr als 3,5% im Minus ab. Wenigstens können die Silberminen (SIL) relative Stärke entfalten. In den nächsten Wochen stehen viele Produktions- Finanzzahlen für das 1. Quartal an..
Der Link zum informativen Wochen-Report. Die schleichende Inflation läuft ungebrochen weiter..
Der freie Fall des Eisenerzpreises fordert seine nächsten Tribute..
Atlas Iron (OTCPK:AGODY, OTC:ATLGF) says it will shutter all its mines and stop exports to Asia, a victim of iron ore prices that have dropped 60% during the past 12 months to a 10-year low of US$46.70. 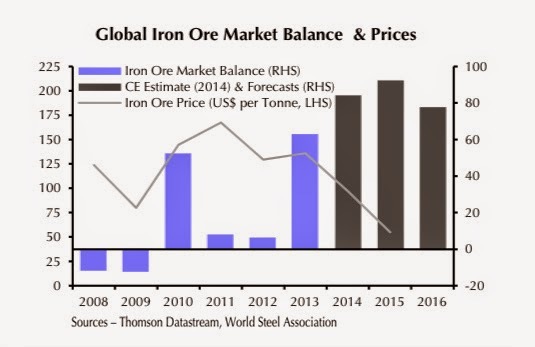 Atlas says while it had reduced its breakeven point to below $US60/metric ton, "the global supply-demand imbalance for iron ore has driven prices down to the point where it is no longer viable for Atlas to continue production." Analysts say iron ore prices could fall further in coming months as mining giants such as BHP and RIO continue to increase production; Stan Shamu, an analyst at broker IG, said he expects the market downturn to claim "more victims." Der solide kapitalisiert Gold-Developer Continental Gold (TSX:CNL) legt diese Woche weitere, exzellente Bohrresultate von den laufenden Explorationsprogrammen auf dem weltklasse Buritica-Projekt in Kolumbien vor. Ende des 2. Quartals 2015 steht mit dem Update der Ressourcen-Schätzung der nächste Firmen-Meilenstein und die Vorzeichen für den neuen NI 43-101 RE-Report verbessern sich kontinuierlich. Sehen Sie hierzu auch die brandneue Firmen-Präsentation. Parallel sollten wir positive News im Hinblick auf den laufenden Permitting-Prozess hören..
TORONTO, ONTARIO--(Marketwired - April 7, 2015) - Continental Gold Limited (TSX:CNL)(OTCQX:CGOOF) ("Continental" or the "Company") is pleased to announce results for 15 diamond drill-holes through the eastern Veta Sur vein system at the Company's 100%-owned Buriticá project in Antioquia, Colombia. Drilling continues with the goal of upgrading Inferred resources into the Measured and Indicated categories under National Instrument 43-101 ("NI 43-101") guidelines, and delivering overall robust mineral resource growth. 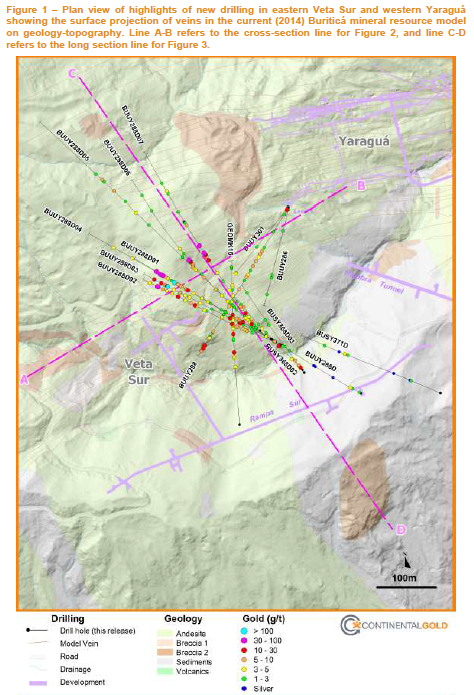 Infill drill-holes encountered multiple vein families with grades X thicknesses that are substantially greater than those expected from the current mineral resource block model for Veta Sur. Broad and/or high-grade intercepts in related Veta Sur master veins include.. It might prove to be a one-off. But one group in the gold industry this week forged ahead with a unique strategy - which might just change the market. The group is India’s largest jewellery-maker, Rajesh Exports. Which said that it is taking an unusual step in securing gold supply for its operations. Of course, the words of one company don’t make an industry trend. But in the case of Rajesh Exports, the firm does have substantial clout in terms of gold demand — currently consuming about 140 tons per year of the metal. Equal to about 15% of India’s total yearly gold import volume. 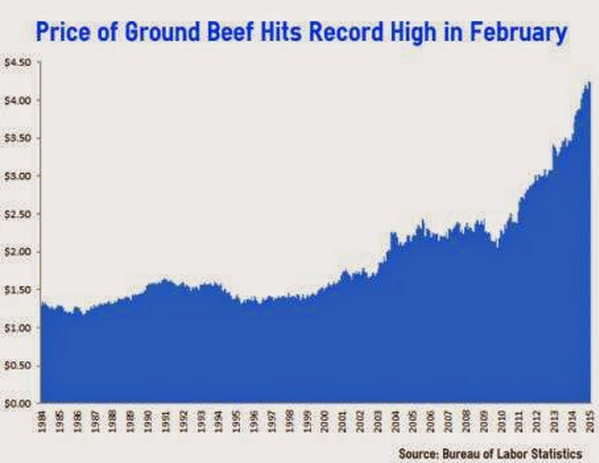 It also signals an interesting trend in natural resources of late. 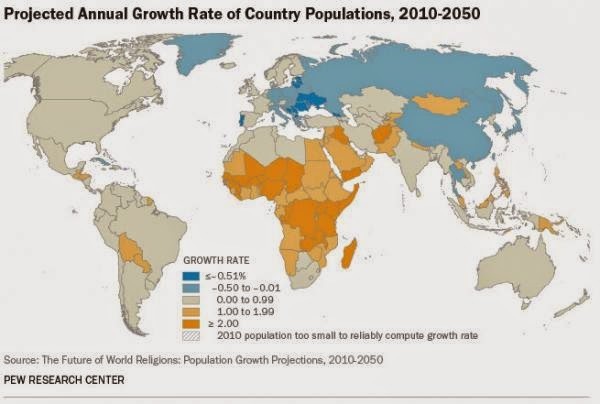 Where end users of metal globally are becoming some of the most active parties in funding new mining projects. We’ve seen similar moves from state-owned metals firms in Asia — in markets ranging from copper to platinum to coal. But the Rajesh Exports asset buy would be one of the first-ever project transactions by an end user for the gold market. Watch for announcements on specific investments for the firm. Here’s to going to the source..
Der kanadische Junior-Explorer TerraX Minerals (TSX-V:TXR), welcher sich auf die Erkundung des goldreichen Yellowknife Bezirks in den Northwest Territories fokussiert (16+ Mio. high-grade Goldunzen-Produktion in der Historie! ), verkündete Anfang des Monats weitere ansehnliche Bohrresultate (siehe Highlights unten). Aktuell sind noch mehr als 3.650 Bohrmeter von der Shear 20/Crestaurum und Barney Shear Zone ausstehend und demnach können wir mit weiteren guten News in den nächsten Wochen rechnen. 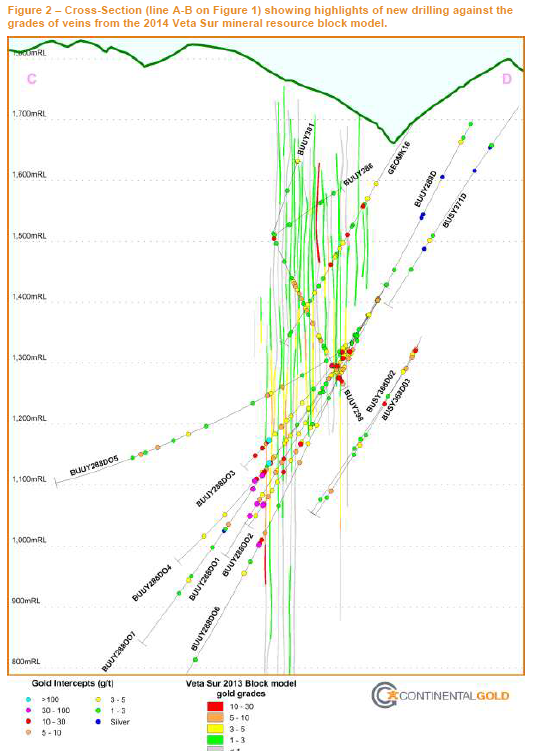 Ryan Walker's comments on TerraX Minerals Inc.
"TerraX Minerals Inc. reported assay results from 22 drill holes from the 94.9 sq km Yellowknife City Gold project along the Yellowknife Gold Belt in the Northwest Territories. 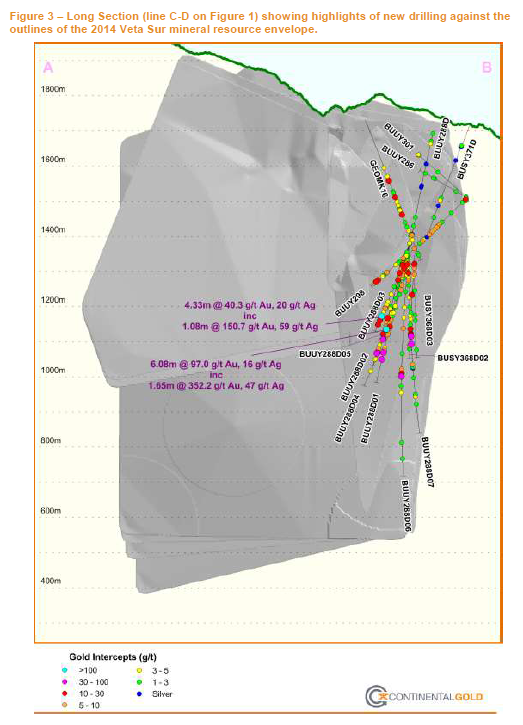 Drilling down-dip of previous hole 85-181 and up-dip of hole 85-183 cut 5m (from 81m down hole) at 5.29 g/t gold, including 3m of 7.98 g/t gold in hole TCR15-019. . .the hole extended the dip of the high-grade shoot. . .results are pending for another fifteen holes drilled. . .the recently completed winter program (6,799m) was drilled in anticipation of an initial resource estimate expected later this year." 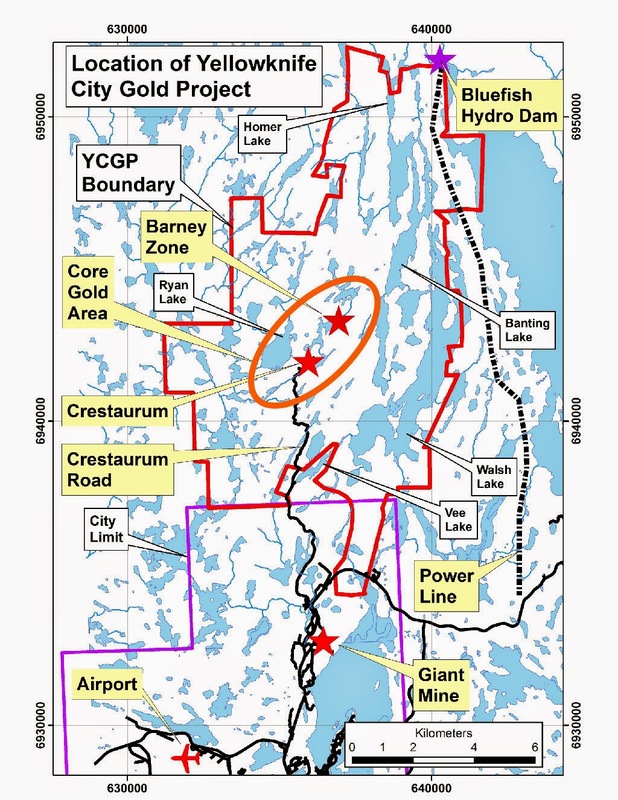 Yellowknife, Northwest Territories - TerraX Minerals Inc. (TSX.V: TXR; OTC Pink: TRXXF; Frankfurt: TX0) TerraX has received assay results from a further 22 holes drilled at Crestaurum during the 2015 winter drill program now underway on the Yellowknife City Gold Project (“YCG”) in the Northwest Territories. The Crestaurum Zone is a discrete shear striking northeast and dipping southeast. It has been followed on surface for approximately 4 km. It has been drilled over 1.2 km of strike length to a depth of approximately 100 m vertical from surface by approximately 200 drill holes. The shear consistently contains moderate to low grade gold, and the higher gold grade mineralized shoots within the shear contain quartz veins and minor sulphide mineralization. A total of 28 holes were completed on Crestaurum, for which assay results from the first six holes were reported on February 26 and March 11, 2015 and the remainder are reported here..
Toronto, Ontario - April 07, 2015 - Roxgold Inc. ("Roxgold" or "the Company") (TSX.V: ROG) is pleased to announce that it has commenced construction at its Yaramoko Gold Project in Burkina Faso, advancing towards production in Q2 2016. Construction of roads within the project area. Commissioning and production at Yaramoko is expected in Q2 2016. "We are delighted to announce that we have officially broken ground at Yaramoko. 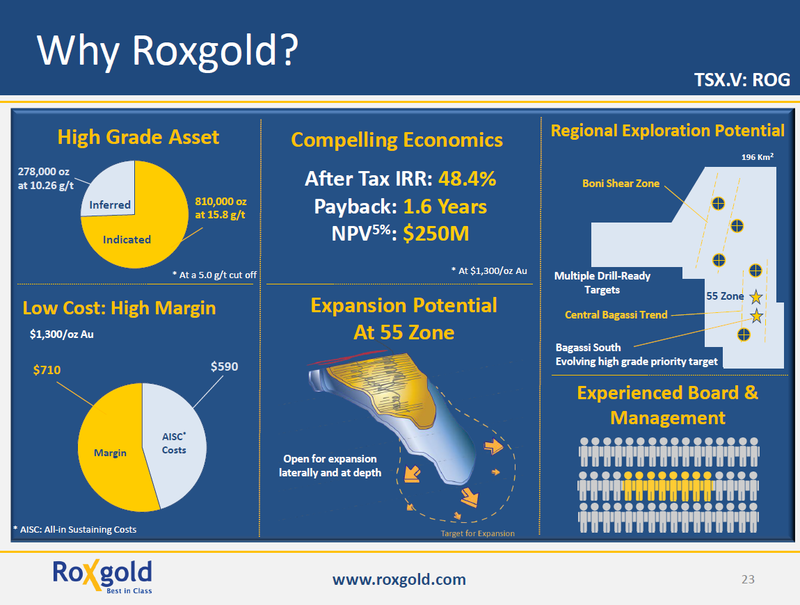 In less than three years, Roxgold has advanced the project from a maiden resource through feasibility and permitting and now into construction," said John Dorward, President and CEO. "We remain well-funded and expect to be pouring gold at our high grade, low cost operation in the second quarter of next year.."
Starke Fortschritte bei Roxgold (TSX-V:ROG) in der Projekt-Entwicklung der erstklassigen Gold-LagerstätteYaramoko in Burkina Faso. Mit dem Erhalt der finalen Minen-Genehmigung kann die Junior-Firma nun dieMinen-Finanzierung in Kürze abschließen und dann steht dem Konstruktions-Start nichts mehr im Wege..
Mongolia's prime minister Saikhanbileg says an agreement “in principle” has been reached on building the next stage of Rio Tinto's (NYSE:RIO) $12.6B Oyu Tolgoi gold and copper mine, braking a deadlock in negotiations that had dragged on for two years. For Mongolia, much rests on resolving the Oyu Tolgoi dispute: Foreign direct investment fell last year with the downturn in commodity prices, the currency is weakening steadily, and debt payments are looming. Mongolia Approves Oyu Tolgoi Expansion: Rio Tinto Impacted? The Mongolian government has decided to proceed with the Oyu Tolgoi underground expansion. The news is positive for Rio Tinto as it tries to diversify its production. 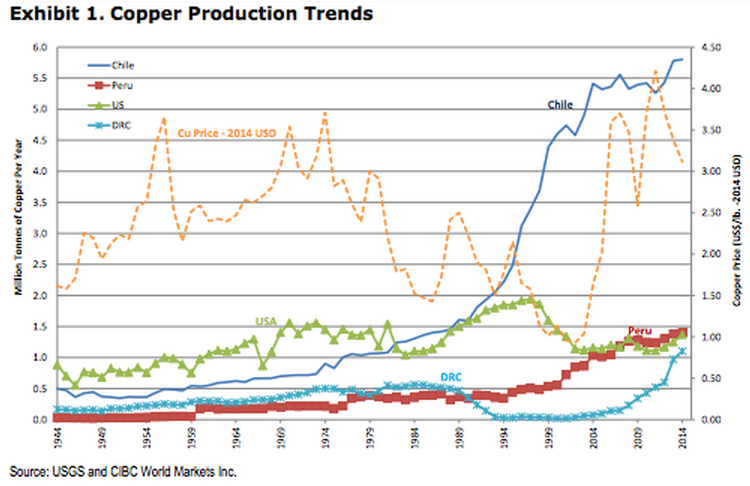 The expanded Oyu Tolgoi should boost the copper and gold production of Rio Tinto significantly. The Mongolian prime minister announced that the Mongolian government hasagreed to proceed with the Oyu Tolgoi expansion. Rio Tinto (NYSE:RIO) owns 50.8% of Turquoise Hill Resources (NYSE:TRQ) that owns 66% of Oyu Tolgoi. The Mongolian government controls 34% of the project. This means that Rio Tinto indirectly owns 33.53% of Oyu Tolgoi..